Hi LBB'ers! Christmas Is Coming, so come enjoy these spectacular offers with us! $15,000 Christmas Shopping Spree at Bingo Billy - US OK! WIN $2,017.00 CASH + $300.00 DAILY CASH RAFFLES + A WEEKLY LAPTOP! This totals over $15,000.00 in prizes! You earn entries on deposits you make during the promotion time! Top 4 Entry Accumulators will win a consolation prize of $250.00 each if they don’t win a $2,017.00 cash prize. Deadline to deposit during Live Show Days and Win a Laptop is 8:59pm ET. You earn 1 entry for every $25 you deposit during the specific raffle times. You can DOUBLE your entries for the day or make your deposit participate in all 3 raffles of the day (depending on promotion for the specific day) by posting under the specific Ad in BingoBilly Facebook Group: www.Facebook.com/Groups/SupportBingoBilly. These 3 bingo websites are hosting the £500 Xmas Game, between December 6th and December 11th, but you can start pre-buying cards as of now! 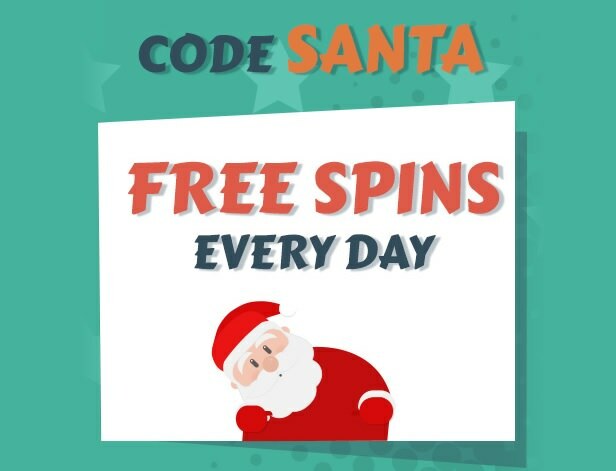 Losing Cards Share: 250 Free Spins for I Love Christmas slot game. Real cash prizes don’t need any wagering before cashing out. Full T&C at bingo websites! Enjoy the holiday season, LBB'ers! 400% Bonus and a $200 Free Chip with guaranteed cashback! Players must redeem all 5 of the Decorate your Christmas Tree bonus codes in order to be eligible for the $200 RIBBONS Free Chip. Check the 123 Bingo website for further details. Have a Merry Christmas, LBB'ers! 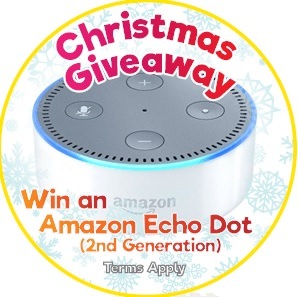 Xmas Giveaway at Bingo52 - WIN an Amazon Echo Dot! Between 1st and 18th December 2017. Every £10 deposit, £10 wagered on Bingo or £20 wagered on Slots earns one point. For further details visit Bingo52 webstite. Every Wednesday - Friday & Sunday at 10pm throughout December in the Tourney Room. Players need to deposit $25 to enter this special room and proceed to register. Visit bingo websites for more details! Hey LBB'ers, visit Reem Bingo and Little Miss Bingo every day until December 31st and click on “Daily Giveaways” to unlock your offers! Great gifts you could win are real cash, gift hampers & vouchers. Play your favorite games & accumulate points! This promotion is only available to depositing players. Promotion runs from 1st Dec 2017 to 31st Dec 2017. Player has to log in daily and claim prizes in order to get Free Gifts: Free Spins, Tickets, Cash Bonus, Bingo Bonus or Gift Vouchers. Login Bonus can be claimed only once in a day. Wager £3 on bingo or £10 on slots will earn 1 point. 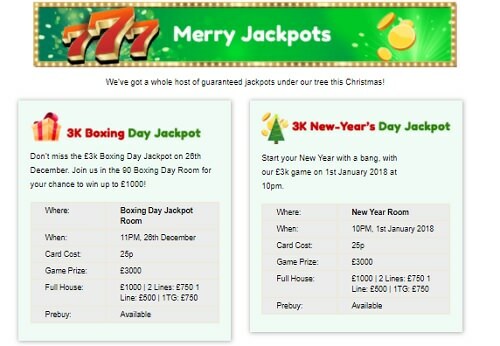 £3k Boxing day Jackpot will be played on 26th December 11PM. New Year’s Day £3k game will be played on 1 January 10PM. Minimum purchase of cards per game is two. Players can play with the maximum of 144 cards. If there are more than one winners, these prizes will be split equally. WR: 8x on Bingo or 40x on slots apply on all the free bonuses claimed and wagering of 4x on Bingo OR 20x on slots apply on all the deposits bonus claimed. Bonus play on slots does not count towards wagering requirements. Play on Blackjack and Roulette does not count towards wagering requirements. To enter, simply prebuy tickets and join in the Dollar Room between the 4th and 10th December, and see if you hit the special pattern! Top 5 players that collect most patterns will win a share of a $3,000 prize pot cash just in time for Christmas! Visit the website and enjoy these great holiday promotions! 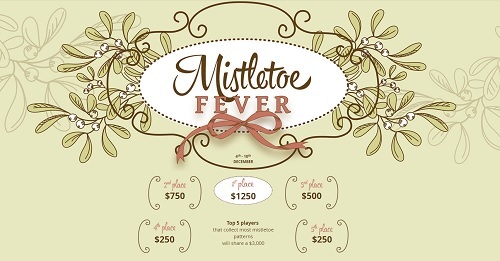 Watch for the Christmas Related patterns to win anywhere from $50 to $500!! You will win 1 Tournament Points for every $10.00 wagered in the "LUCKY CUP DINER" BINGO ROOM during Monday, Tuesday and Wednesday. • TOP 3 PLAYERS OF EACH DAY GET TO PICK EITHER DOOR #1, DOOR #2 OR DOOR #3! *DEPOSIT DURING THE TOURNAMENT DAY TO WIN FULL PRIZE! If you win and you haven’t done a deposit that day, you’ll win half of the prize as bonus, or half of the value of the gift as bonus. Only members with a deposit on file will participate. Collect these items to decorate your tree and win up to 100 bonus by the end of the month. You must have a deposit on file for past 7 days. You must send in a help desk ticket with the game ID won on. Once you redeem all pattern for 100 BBS you may not redeem it again. Share your good fortune with others anonymously or let the recipients know who sent them a thank you cash gift. You must send a ticket to support to indicate which player/s you will give a gift to, what amount and whether you want the recipient to know who gifted them. Become an ELF for the hour!! The Chat host will pick a random player that is in chat and they BECOME the ELF for the hour. When the ELF wins bingo bouncing nabors from the ELF win a bonus prize of 2bbs. For more details regarding the promotions visit Bingo Billy's website. Every day from 1st December till 24th December you could win a free gift in the Bingo Lobby. Just log in to see what's behind the window! Only one prize per player/ per calendar day will be paid out. Bonus cash and Diamonds bonuses are subject to wagering requirements. Players must wager 4x the total amount of the Bonus Funds or in the case of a deposit related bonus 4x the total of the amount of the deposit + the amount of the Bonus Funds prior to cashing out. Free spins credited via the promotion will be available via the lobby. A Gift Box icon will appear next to the balance details. Costa Advent Calendar game can only be played on Desktop or Laptop computers, it is not available on Mobile & Tablet. Grab a taste of the Holidays from 8pm ET on Friday December 2nd with $1,500 in prizes to be won playing CyberBingo’s scrumptious Candy Cane Guaranteed Pot games! Get into the Holiday spirit and join in the Bingo fun on Friday December 8th at 8pm ET in the Christmas Bingo room and you could win a festive cash prize of up to $1,000! Join in the Holiday Bingo fun in the CyberBingo Christmas Bingo room from 8pm ET on December 15th as it serves up a huge helping of Gingerbread treats and fabulous cash prizes in its exclusive Gingerbread games. Playing from 3pm ET on December 22nd in the Christmas Bingo room, there are fantastic cash prizes of up to $2,500 to be won for a card cost of only $0.25 a card. Join in the bingo fun on Christmas Eve from 6pm ET and watch as the prize pots climb and max at an incredible cash pot of $500. Santa’s got a sack full of fantastic prizes of up to $25,000 to be won at CyberBingo on Christmas Day as players can join in the bingo fun playing Santa’s Coverall Special. Play from 8pm ET in the Christmas Bingo room and you could be celebrating Christmas with amazing cash wins! Hold on tight at CyberBingo from December 13th till December 24th as it takes players on a fast-paced sleigh ride of Holiday fun in its 12 Day of Christmas Sleigh Races. These short-patterned games play every day between 8pm and 9pm ET in the Pack and Line bingo room! Play on Saturday December 30th and make your dreams come true with massive $10,000 guaranteed cash prize to be won in the Magical $13,000 Guaranteed Event. Playing from 7pm ET in the CyberBingo Tourney Bingo room, there are fabulous cash prizes to be won every game. With a buy 3 Get 2 Free offer on all cards, you’ll get more chances to win big! Countdown to the end of 2017 in the CyberBingo New Year’s Bingo room from 8pm ET on New Year’s Eve and celebrate the last day of the year playing for amazing cash prizes. Play at 7pm ET on New Year’s Day. Make your resolution to play for fantastic cash prizes at CyberBingo in 2018! Every hour of every day in December, CyberBingo will play one of its special tourney games in the Christmas Bingo room. Each time you win, you will receive 1 tourney point. The more tourney points that you collect, the bigger the share of $3,000 in guaranteed prizes that will be won by the top 20 players! With $2,500 in prizes to be won and a cracking $1,000 cash prize for the tourney winner, join in the Holiday slot fun at CyberBingo for your chance to win big! An LCD Smart TV, a new laptop and a Samsung Tablet are just some of the amazing gifts that can be won. For your entry simply fund your player account at any time in December and enter the special promotional code. You’ll instantly be entered into the raffle! More info about these promotions could be found at Cyber Bingo ' website! Hey, LBB'ers, there is a HUGE Christmas draw this year at Butlers Bingo: prizes include an LED TV, 3 iPhone X’s, 3 Apple Watches, 3 iPads and 10 huge Christmas chocolate hampers! That’s 20 chances to win! Running between the 1st and 17th of December, players can enter by wagering £250 on one of these slots: Immortal Romance, Jungle Jim, Cool Buck, Lucky Links and Lucky Leprechaun. They’ll receive a ticket (up to a max of 20 a day per person), with winners announced on the 18th of December for these legendary prizes. More info at Butlers Bingo website! Every day bingo on a day of Christmas and see what Starbux gives to you! Winners must shout CHRISTMAS to claim their prize. Lots to be won from £200 Christmas game tickets. Slot Spins and MORE! All hosted/funded rooms. 90 ball FH win only. Can't email or don't want the prize? 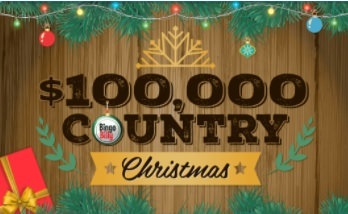 Shout BAH HUMBUG to be credited 1,000sps instead. Players must be in chat from the beginning of the game and shout CHRISTMAS to claim. Bingo bonus and casino cash have wagering requirements. From 9 pm to 12 am ET every Friday-Sunday in December 2017, players can look forward to setting prizes ranging from $50 to $500 inside the Lucky Cup Diner. The room features several patterns that award extra prizes throughout the night. At the end of the 9pm ET hour, the room will feature a Turkey Pattern with a $50 prize, a Bell pattern with a $70 prize, and a Star pattern with a $90 prize. Then, at the end of the 10pm ET hour, players can play for a $100 prize with a Christmas Tree pattern or $150 with a Gingerbread Man pattern. The biggest prize of each night is a $500 pot at the end of the 11pm ET hour for an online Bingo card featuring a victory with a Santa Hat pattern. 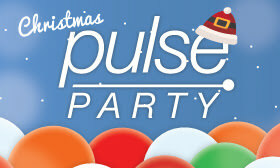 The $10,000 Santa Patterns Party is open to all members. Players new to Bingo Billy can get a $30 free trial bonus, plus first-time depositors receive progressive bonuses up to 600%. For more information visit Bingo Billy website! Good luck to all LBB'ers!